Here at Design & Promote, we have over 10 years of experience of finding web solutions for our clients that help them appeal to their audience and solutions that build a stable foundation that allows their website and their brand to be continually marketable in the future. We don’t take the one size fits all approach either. We understand that each business along with their products and services require unique ideas and we have the team and resources to come up with solutions that work for you. If you would like more information on our web solutions in Aurora or if you have any questions about our digital marketing solutions, please feel free to give us a call today at 630-995-7109. You can also get in touch with us by filling out the contact form on this page and we will respond shortly. When it comes to getting your business noticed in the digital world you need a website. In fact, you need more than a website, you need web solutions that help you bring in potential clients from multiple facets of online marketing. You also need consistency to help make your brand more recognizable, as well as measures to increase your company’s brand awareness. Having a website is the most important aspect when it comes to obtaining new customers. 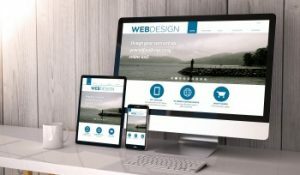 The team of web designers here at Design & Promote will work with you to create a custom website that highlights your brand and clearly conveys your marketing message. We will create an engaging website that includes the latest trends and will be viewable on all devices to maximize your website’s impact. To learn more about our custom web solutions in Aurora or if you have any questions regarding our digital marketing services, call us today at 630-995-7109. Or simply fill out the contact form on this page and we will get back to you as soon as possible.